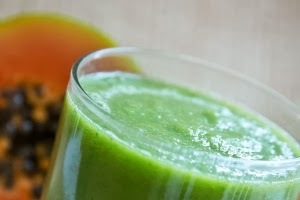 THE MARTINI CHRONICLES: 5 Delicious Green Smoothie Recipes! 5 Delicious Green Smoothie Recipes! Greetings Divas and Gents! Quick questions: How many of you have gotten behind the green smoothie craze? I'm willing to bet that many of you have. 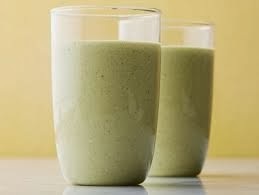 I think we all can agree that these green smoothies can be quite healthy. Many of the recipes I have seen pack tons of fiber, iron, and other vitamins that are necessary to maintain a healthy body. And if you are a busy professional who often skips breakfast because you don't have time, a quick green smoothie may be the thing for you. 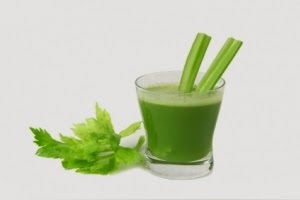 After taking a survey of a good number of my colleagues, I have learned that more than half of them have adopted their own green smoothie recipe and daily routine to help jump start their day. 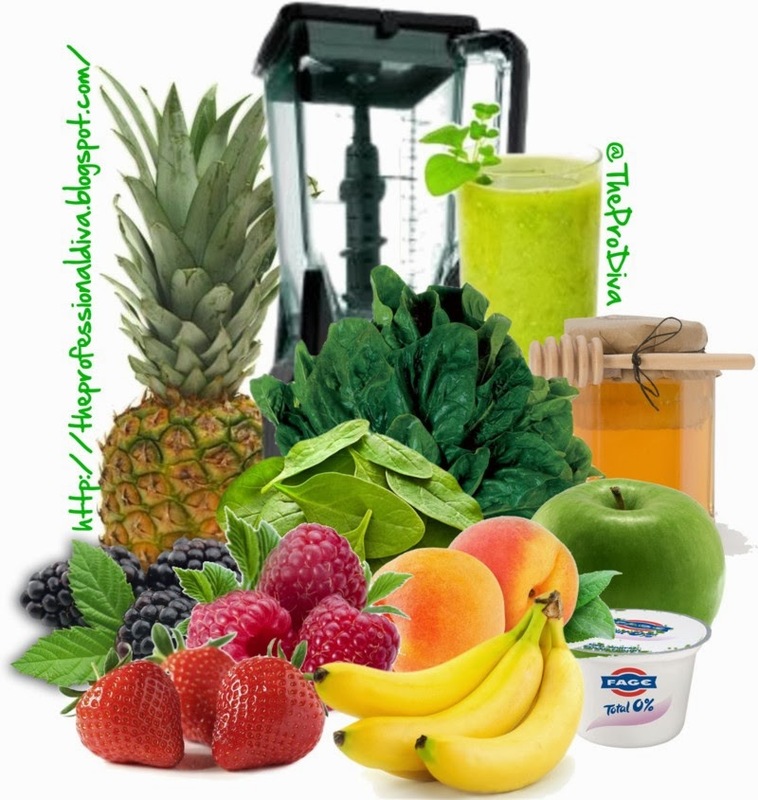 Many of the recipes follow a similar format: kale or spinach (or both), bananas, and some other types of fruits that are designed to mask the taste of the vegetable ingredient(s). Some recipes call for yogurt or milk, and some also call for some sought of sweetener, like honey. However the smoothie is concocted, one thing rings true among each of my colleagues: each one claims that they played around with several different recipes until they found the one they liked best. Most of them also say that they prep their smoothie ingredients the night before so that all they need to do in the morning is throw them in the blender, pour the mixture into a to-go cup, and head out the door. Sounds like a good plan to me! In the spirit of sharing, I have searched the Internet for 5 green smoothie recipes that can help you get started on your morning routine....if you're interested! Check out the ingredients and see which one works for you. Also, be prepared to add and delete ingredients until you find the recipe(s) that suits your nutritional needs and your taste buds. Enjoy! 1. Put all ingredients into blender. Blend until smooth. 1. Place the milk and oats in a blender and blend for 15 seconds on high. 2. 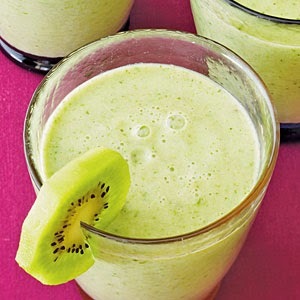 Add the peaches, ice, spinach, honey, vanilla and bananas and blend until very smooth, 45 seconds. 1. Place all ingredients in extractor (magic or nutri bullet) and blend until smooth. 1. Place all ingredients in a blender; process until smooth. Serve immediately. If any of you out there are green smoothie connoisseurs, please share your recipe in the comments below. Thanks in advance! I love a great green smoothie! One great tip I've read is to prep everything and keep it in freezer bags (except the liquid) so you always have a fresh frozen smoothie blend on hand. I don't know if I am a gym snob for this one, but if so oh well. I don't understand how ladies go to the gym with make up on and when they start to sweat the make up just runs down their face. That just really bothers me. Such a great idea! Another thing I do is freeze my fruit. That way I don't have to use ice when blending. I am totally obsessed with green smoothies. So this sounds like something I would love!